Trojes is a small Honduran town across the border from Jalapa, Nicaragua. It is not frequented much by travellers. They seemed quite surprised to see me at the border. I rode into town on the back of a pick-up on a dusty and rutted road and not long after the journey started my cap flew off. It was probably claimed later by a local kid or wandering campesino. I got settled in a basic room in a family house and set off to wander the town. 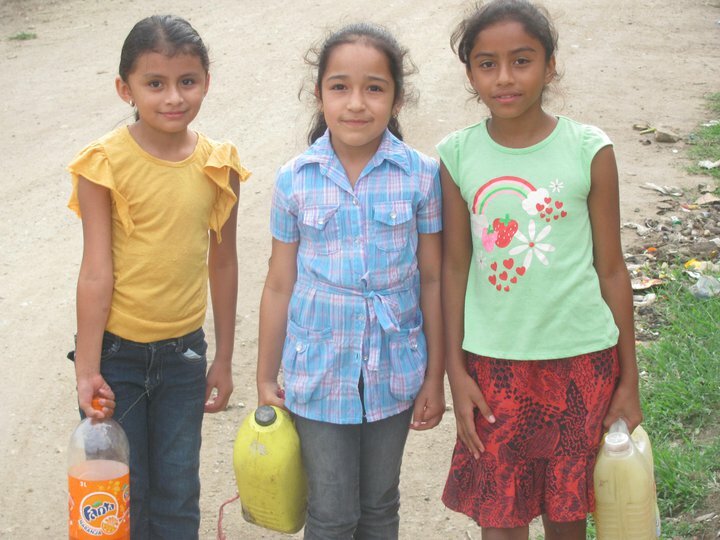 It was my first time in Honduras. Not long after I got chatting with the guys in the photo above. 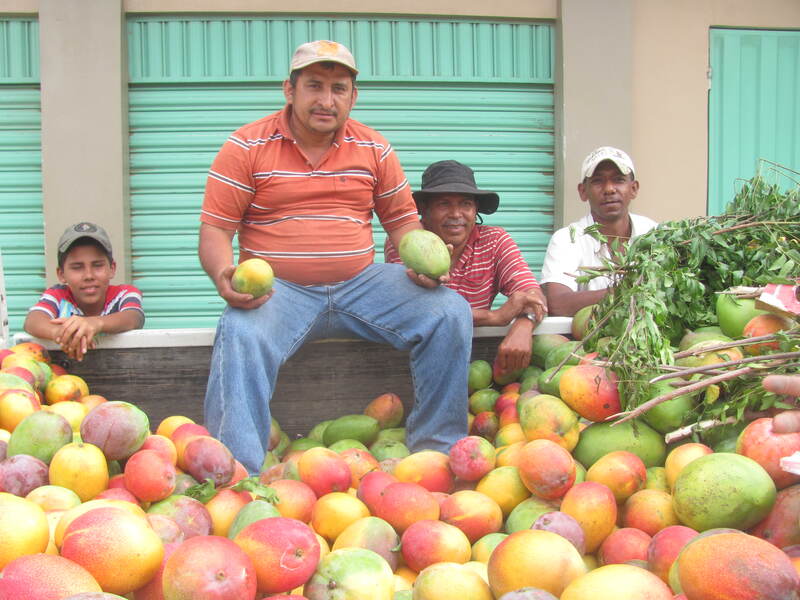 I bought some mangos, a great treat in virtually all of Central America. In certain places you can find them lying on the ground and just pick them up and bite in. Isla de Ometepe is one such place. In this case I was happy to hand over some lempiras. One of the guys pulled a machete out of the truck and expertly carved one of the plump and juicy fruits. It was all more than worth it. Apart from the good mango I was also treated to a wide repertoire of impersonations from the Spanish speaking world by the protagonist of the shot above. I moved on, content in my new environs. I ate some chicken. I bought a replacement hat. 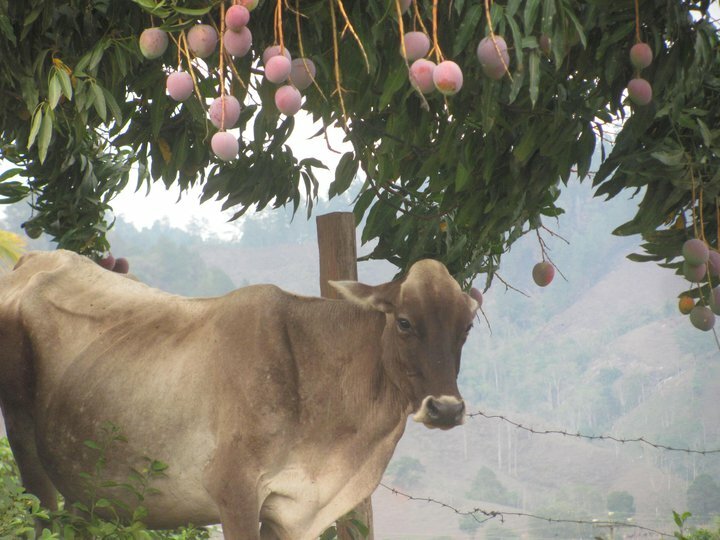 I saw a cow loitering under a mango tree, said hello to everyone and we sent each other off to God (adiós). Later I sat on the street and chatted to the family whose house I was staying in. They had set up a small stand on the street to sell grilled meats. They sold beer too. I had a few – they were probably of the Imperial or Salvavida brand, I don’t recall. “Sí, yo conozco, en Europa, al lado de Alemania”. “Australia, no Austria.Es un continente aparte”. It made me laugh and backslapping was involved. The indelibility of the brief exchange in my mind is probably inversely relative in his. Just another encounter with folk along the way. A moment to enjoy before heading on to Tegucigalpa, the Honduran capital.